LaPlace Transforms, LLC is run by Beka Shea. 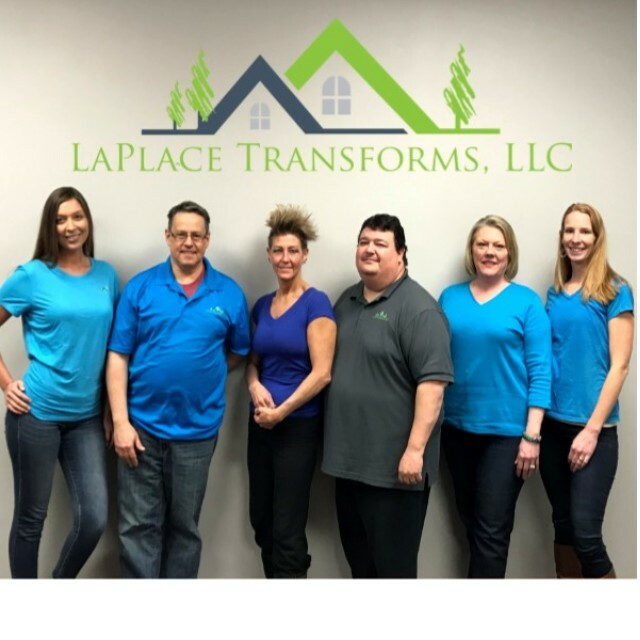 LaPlace Transforms, LLC is a reputable house buying company in Chester, Montgomery, Berks and Lancaster Counties. The number one question we get from sellers is, "Is this a scam?!" Not at all! We aren't for everyone, and our offer has to include room in it so that we can make repairs and a profit, but the benefit to you is selling on your timeline, with little effort, and getting the price we agree upon. This opens up a lot of options for people that have felt stuck and unsure of what to do or who to turn to. "To build relationships and wealth by helping people." We buy houses fast, for cash in Chester, Montgomery, Berks and Lancaster Counties. Just give us a call and get an offer from a qualified buyer today. Jason Izzi is the voice of LaPlace Transforms. He handles all our incoming calls and online submissions. He is responsible for seeing if we may be a fit, setting an appointment, and answering any questions you have about the initial process. Stephen Smith is our Director of Sales and has an amazing team of professionals who ensure from first call to settlement the process is a smooth one; and who strive to make your experience as stress free and seamless as possible. Lisa Arias is our Transaction Coordinator. She is responsible for handling the administrative process from contract through closing, acting as a liaison between you and the title company, as well as you and the LaPlace team. Her job is to make sure that all parties get to closing as smoothly and efficiently as possible. She will be your main point of contact. Lori Vorgang is our in-house listing agent. She serves as our boots on the ground for meeting with sellers during appointments and making listing offers. Lisa Mullins is our Project Manager during rehabs. Her job is to run the construction side of the business so that we can meet our deadlines and budgets, and make beautiful homes for the next lucky owners. Marie Metcalf is our Marketing Director. Along side of Beka, and the rest of the team, Marie helps development and implement all of our marketing strategy. From the graphic design of our marketing pieces to analyzing the latest data and trends, Marie acts as the top of the funnel for attracting great sellers to LaPlace.